What a horrid Memorial Day weatherwise! 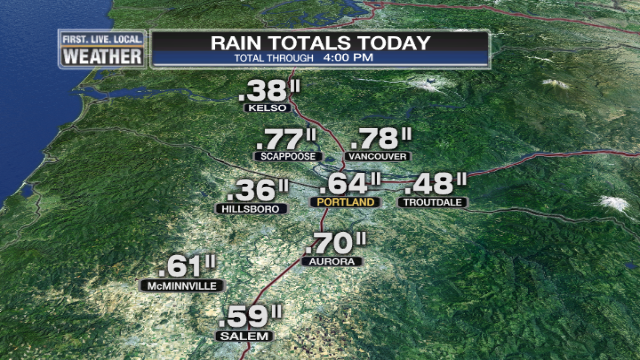 As of 4pm Portland’s rainfall for the day is 0.64″, which is a new record for May 27th. The old record is .59″ on May 27, 1990. I almost always work Memorial Day weekend because someone else might want it off or more likely it’s just going to be cool and showery anyway. I’d much rather “bank” the day and use it during summer. Plus, no adults around (bosses), so we can be less productive and still not get fired…just kidding, mostly. Showers continue overnight, then diminish tomorrow as we wait for another vigorous (for late May) system Tuesday night and Wednesday morning. Then more showers Wednesday and early Thursday. After that…finally, a change in the weather pattern. The weak May storm track lifts a bit north Friday and Saturday, and maybe beyond. It doesn’t take much to improve our weather in early June, so we’ll easily jump into the 70s over the weekend. That’s good because the Rose Festival Starlight Parade is Saturday evening and I’m riding in a car with Shauna Parsons. We don’t want our hair messed up of course. By the way, make sure you wave. Not sure how I scored such an exhausting “work day” Saturday, but I’ll take it. 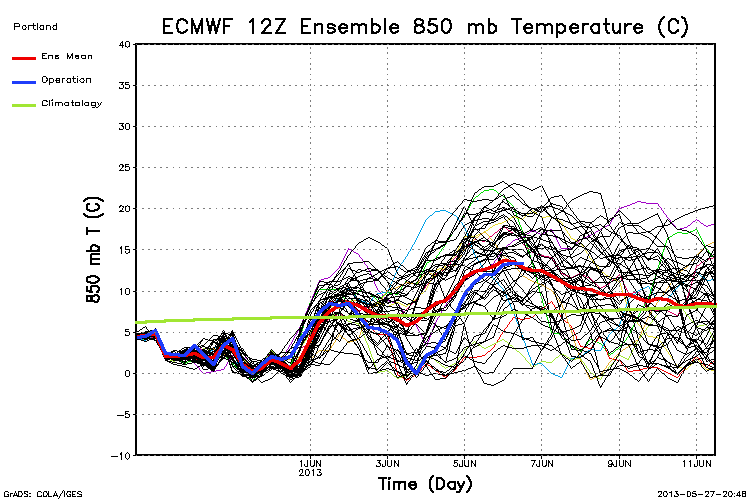 The ECMWF says it’ll be somewhere between 0 and +18 by Monday afternoon. That’s a high temperature somewhere between 55 and 90 degrees. 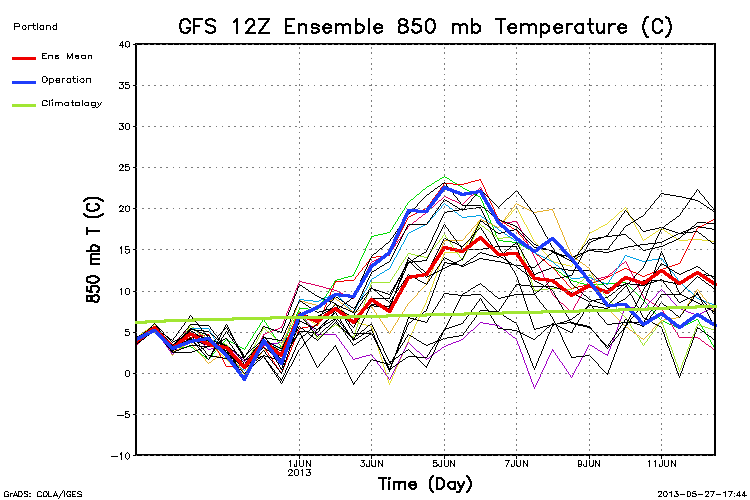 By next Tuesday, the 12z GFS says somewhere between +3 and +23. That’s 65-95! What’s going on? Take a look at the operational 12z ECMWF for next Monday morning, it shows a cool upper low (mainly dry) dropping over the top of a developing ridge (just to our west) and down into the Pacific Northwest. It’s basically “crashing the ridge”. The 12z GFS had no such thing, but it’s obvious many of its ensemble members think the ECMWF is correct since the 18z brings the upper low much closer. I went with the ECMWF solution thus a much cooler forecast….we’ll see. 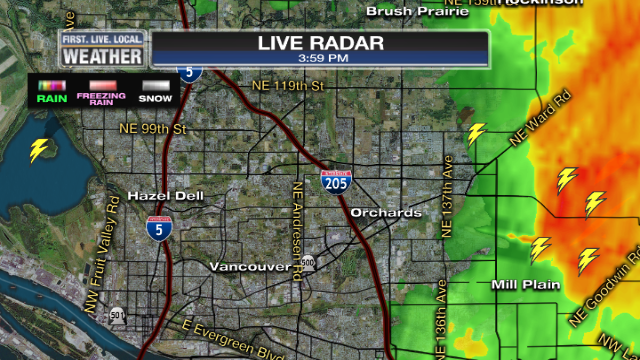 You are currently browsing the FOX 12 Weather Blog blog archives for the day Monday, May 27th, 2013.